Pennsylvania College of Art & Design announces the 52 BFA degree candidates for Commencement for the Class of 2016 scheduled for Friday, May 6, at 10:00 a.m., in the Commonwealth Ballroom of the Lancaster Marriott/Convention Center at Penn Square, 25 South Queen Street, Lancaster, PA 17603. Gregory Scott, Lancaster architect and past trustee of PCA&D, will give the Commencement Address at the ceremony. Scott is a senior partner in the architectural firm of RLPS Architects located in Lancaster, PA.
On the same day, First Friday May 6, the College will open its annual Senior Show & Celebration to the graduates and their families from 4-5 p.m. and to the public from 5 to 8 p.m.
At the Senior Show & Celebration, artwork will fill four floors of the College as the Class of 2016 exhibit professional-level senior thesis projects in a variety of media, the culminating work of PCA&D’s graduates in fine art, illustration, photography and graphic design. 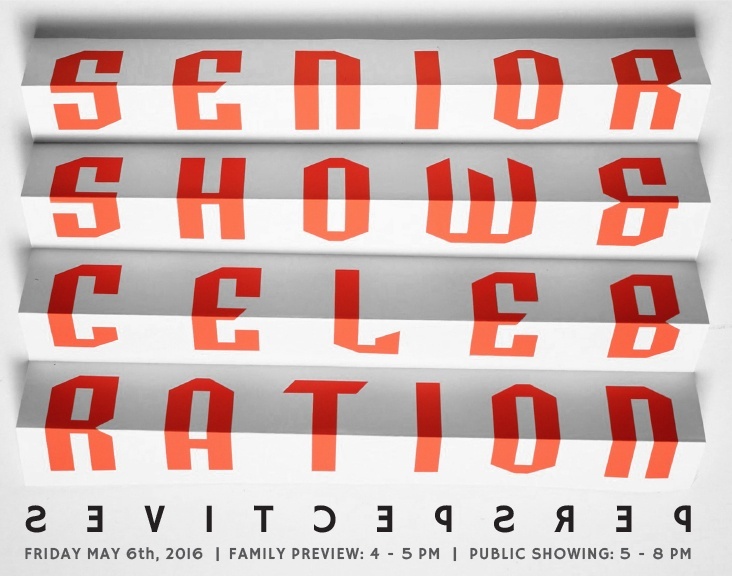 From May 1- 29, one work from each member of the Class of 2016 will be featured in the Main Gallery. On May 2 and 3, Lancaster City’s Spring Artwalk, PCA&D building hours are 11 am - 6 pm. Hours for the exhibit are Monday – Friday from 8 a.m. – 4:30 p.m. (closed Memorial Day). The 2016 PCA&D Senior Show is sponsored by Benchmark Construction, House of Pizza, Lancaster County Solid Waste Management Authority J&J Heating and Cooling, and Murray Securus, Jim Castanzo, and Fig Industries.